The goal of our site is to provide you with all the help you need to have a healthy, strong and importantly, happy bond with your dog. 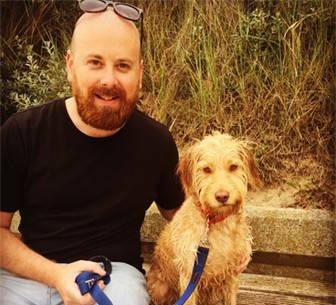 As all good relationships, including those we have with our pets, have trust and love at their core, we will help to understand how to properly train and look after them. 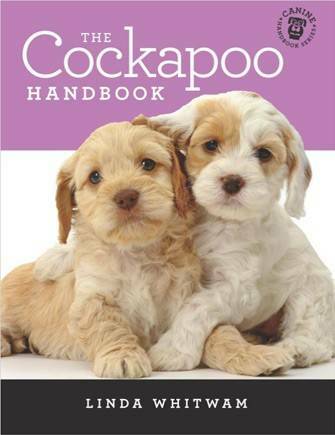 By looking through the various articles and guides we have, you will find information, tips and advice on everything you could ever need to know about looking after a Cockapoo. Are You a New Owner or Thinking of Getting a Cockapoo? If you answered yes to either of the above questions, you’ve definitely come to the right place to find out about this dog breed. They are one of the most popular dog breeds in general, let along, hybrids, in the country. A lot of this has to do with the fact they are very intelligent, sociable and easy-going creatures. However, owning a one will still require a lot of work, so whether you have one already or are still thinking it over, we would urge you to check out the following. This is a very important subject, as all dogs need exercise. Even the laziest dog, needs the occasional walk to ensure they have good health in general. However, it is not actually as easy as you might think, because even within the same dog breed, individual dogs are different from one another. Just because one dog needs one to two hours of exercise most days, it doesn’t mean all will be the same. It is important to remember that they are a cross between a springer spaniel and poodle, which are both very active breeds. How Far Can They Walk? As walking will be the predominate form of exercise you and your new furry friend are likely to engage in, this is another important point to consider. The crucial thing is actually not how far it can, but how far it should walk. They are unfortunately prone to suffering from hip dysplasia. Meaning, if they are exercised too much before their bones develop fully, they can experience long-term health problems. Another issue sometimes is patella luxation which is to do with their knees. To get the full costs, Click here. You don’t want to refer your dog as ‘dog, so giving it a name is important. Perhaps you already have one in mind. That’s fine, but to help give you some inspiration, we have put together a comprehensive list of great Cockapoo names, even breaking them down to different colours. As they come in a variety of different colours, we wanted to highlight some of the most common. You can use this as a guide to the kind of puppy or dog you might want to welcome to your home. Can They be Left Alone in the Day? Does your Cockapoo have Separation Anxiety? Obviously, the ideal working situation for having a dog, whether it’s a Cockapoo or another breed, is to work from home. Not everyone has the luxury of this and in this post, you will find out helpful information about whether you should get a dog if you work full-time hours. But is the Cockapoo the Right Dog for You? It’s all very well if you have done the research and know for certain that a it is the right dog for you. But, if you are relatively new to the breed, or dogs in general, it is worth comparing and contrasting it with other breeds, just to make sure if it is a good fit for your household and lifestyle. Cockapoo Vs. Cavapoo – These are very closely related, so to help make distinctions between them, we compare both, considering various factors. Cockapoo Vs. Labradoodle – If there’s one hybrid dog that is almost as popular as the Cockapoo, it is the Labradoodle. We look at both to help you choose the one that’s right for you. Cockapoo Vs. Cavachon – In this section we look at how Cockapoos are when compared to another Spaniel cross breed, the lovely Cavachon (Cavalier King Charles Spaniel and Bichon Friese. Cockapoo Vs. Mini Goldendoodle – The Mini Goldendoodle is an adorable mix of a Golden Labrador with a Miniature Poodle, but is it better for you than a Cockapoo? Cockapoo Vs Pug – Given their popularity, it would be unfair to leave Pugs out of this discussion. How do the jokers of the dog world compare to Cockapoos? Cockapoo Vs. Maltipoo – They are gaining popularity, so it’s worth seeing if this breed might be better for you than a Cockapoo. Need Help finding a Breeder? If you definitely know that you want to take on a Cockapoo as your brand-new family member, you need to think about how you are going to acquire one. There are obviously two ways of doing this, buying a Cockapoo puppy through a breeder or adopting from a cockapoo rescue centre. Before buying though, it is also a good idea to consider the other option, adopting. Not only is a lot cheaper overall, it is just a really nice thing to do. Lots of dogs end up in rescue centres looking for new homes and loving owners. If you want to find out more about rescuing this breed, check out the Facebook Doodle Adoption page here and the Adoption and Rescue pages on this site. Are You Having Behaviour Problems? Constantly Jumping and Biting – It discusses why they jump and bite excessively and also highlights ways you can combat this problem. You will also find tips for how to stop it. Temperament Problems – This is a more general discussion of the Cockapoo temperament. We discuss how each dog is different, the main problems with them and how to deal with these problems. How to Stop your Cockapoo Digging – All dogs love to dig. But as owners, we don’t want them doing it because it can ruin our gardens and also trample dirt into our homes. This section will help you understand why Cockapoos might be digging and offers solutions to stop them doing it. The Kong Wobbler – The Kong Wobbler is a very simple and fun toy that dogs of any size and type will enjoy. It combines play and treats and we discuss its main features and even offer some advice about where you can buy it. Elevated Cooling Beds for Cockapoos – Finding the right place for your dog to rest and sleep is crucial, especially if you are concerned about them overheating. In this post you will find our recommendations for the recommend elevated cooling beds, and tips for the things you should keep in mind. Recommended Chew Toys for A Teething Puppy – When your puppies teeth start coming through, they have an insatiable urge to bite into everything and anything. That is why you need to invest in chew toys and in this post, you will find our recommendations for the most recommended chew toys available for puppies. How to Keep Your Car Clean from a Muddy Cockapoo – It is fun to take your dog out in the car, especially if it’s to a local park or the countryside to go for a walk, or just to the beach. However, one of the biggest problems with taking your dog out in the car, is muddy paws on your car’s upholstery and well, just about everywhere. In this post you will find recommendations for products to help you deal with a dirty and muddy dog. 10 Must Have’s Before You Take Your Cockapoo Home – Bringing a new dog into your home is an exciting time. However, do you have everything you need? In this post we have put together a comprehensive guide to 10 of the most important things you should already have in your home before your new family member arrives. Top 10 Toys That Your Cockapoo Can’t Destroy Within an Hour – All dogs love playing, but if you are not careful all that rough playing can cost you a lot of money. Especially if you are having to replace their broken toys every couple of weeks, or even days. To help you out, the following post highlights some very durable toys that won’t break within one hour of your dog playing with them. Best Harness? – Another aspect of dog ownership, whether you are aiming on taking on a Cockapoo or not, that is important is choosing the right one. This deserves some considerable time and thought, because you want one that will help you to keep your dog under control, without restricting his or her movement too much or hurting them or feeling uncomfortable. Cockapoo Gifts – The last recommendations we have are for Cockapoo lovers in general Whether you are looking for a gift to buy a Cockapoo lover or just want to spoil yourself a little bit, this is the post for you.